Improve Your Engagement Rates Using Facebook Groups — CROWD. When it comes to marketing on Facebook, we’ve all seen the numbers on what grows a consumer base. Engagement is what counts-- opening a dialogue on your business’ social media to foster a community around it. So how do you go about doing it? 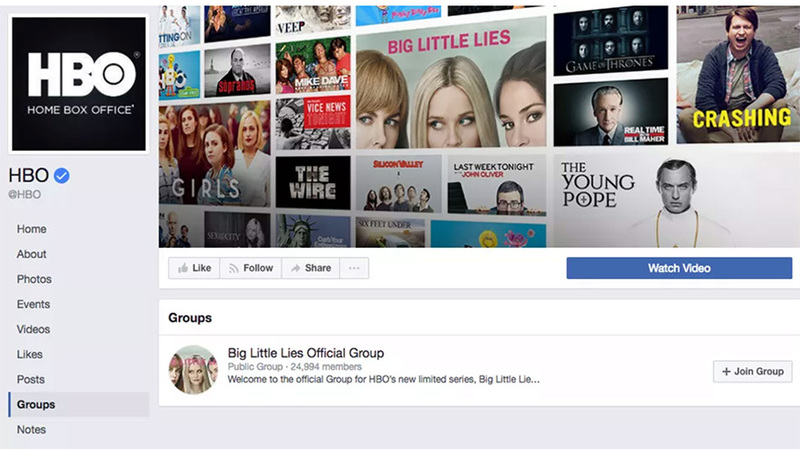 For one thing, you may want to ditch your Facebook Page in favor of a Facebook Group. Facebook’s metrics show that groups are seeing a lot more engagement than Pages. This is because the structure of Groups enables members to hold conversations more smoothly than a Facebook Page does. It’s also part of a larger move towards more private communication, away from broad public sharing. You might wonder if it’s worth the time to set up a whole other social community hub. As with most social media marketing recommendations, the answer really depends on whether it makes sense for your business, and if you have the time to maintain such a group. With that in mind, here are some of the benefits that a business Facebook Group can provide. In a space like a Facebook Group, you can dive a little deeper into subjects, and workshop new ideas in a safer and more constructive way. It also offers another way for your audience to connect with you and with each other. When your customers connect, they begin to form a sense of community. This can be tricky to do via post threads and comments on a Facebook Page, and it’s even trickier to build the necessary interface into your own website. Groups are a great way to get around the problem of community-building technology if it’s outside your budget or means. In this format, members can start conversations amongst themselves, answer each others’ questions, and engage in dialogues around your content. It’s also a great tool for internal considerations. Building a Facebook Group for the members of your own company’s team helps keep everyone in the loop, and even build company culture. Private Facebook groups feel like a clubhouse. Belonging to one leaves users feeling special, building a sense of exclusivity for the people you allow in. There are two ways to do an exclusive group: “private” and “secret.” Private groups are visible in search, but require approval from the admin to join. Secret groups are, of course, secret, and invisible to searches. Either of these options means that you can make more choices about who sees your content, and who can interact with it. As noted before, Groups are seeing higher levels of engagement than Pages -- not to mention, posts from groups in which you’re regularly active are also given higher status in the News Feed Algorithm. Creating and maintaining a group can allow you to “beat” the algorithm (in as much as anything can), and get your content in front of your group members’ eyes. Once you decide you want a Facebook Group in your social media portfolio, you might be looking for some tips on how to run it effectively. Having a thorough profile is important whether you’re an individual or a business. Filled-in sections show you care about communicating with your audience, and that you want them to know who you are and how to connect with you. Clearly-defined rules are important for keeping things in order in a Group. Facebook provides a few (no spam, no hate speech, etc.) but you can customize it as you need to. You’ll be able to set the tone of behavior for your members, and maintain your rights to kick someone out for breaking code. Consistency is the key to building engagement, regardless of social platform. It’s also one of the most difficult things to do. A weekly themed prompt and some open-ended questions can be a great place to start. Using a management tool can help you as well, especially if you’re managing multiple groups. Some tools, like AgoraPulse, enable you to set your posts to recurring, so you don’t even have to think about scheduling the same things every week – you can concentrate on the posts that will build more engagement. Be sure to respond to any posts or questions your members add to the group, and do so in a timely fashion. A dialogue takes both of you, after all. To maintain the clubhouse feeling, you will need to offer something special to your group members. Exclusive content doesn’t have to be complicated-- a group-only discount, download, or access pass to live content can do the trick. Facebook’s analytics are pretty comprehensive, and as with any social media page, they’re a great resource to know what’s working. Maintaining a Facebook Group leaves everyone feeling more engaged, more included, and more likely to feel good about your brand. And with a certain amount of automation, it doesn’t have to be as time-consuming as it looks. Consider it as you update your social media strategy. For more news on this and other platforms visit CROWD. or send an email to hello@crowd.agency.